From 22nd March to 23rd April Ealing will be joining in with the national Great British Spring Clean campaign. We’ll be showing just how much we love our parks by combining enjoyable walks and events with litter-picking during the month and beyond. 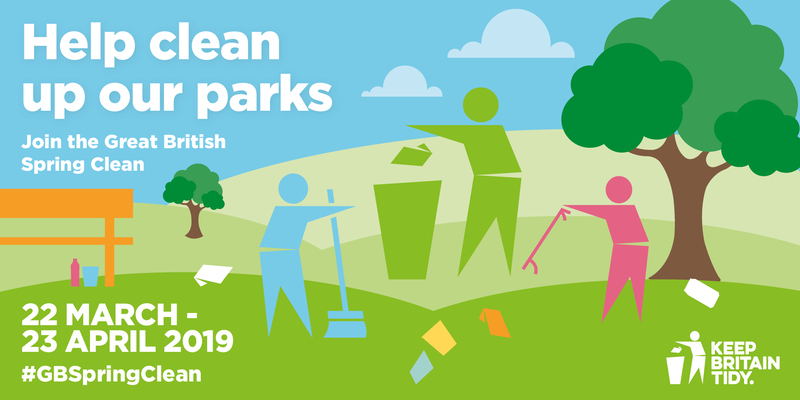 Every Saturday from 23rd March through to the end of April, one of Ealing's knowledgeable Park Rangers will be leading a guided walk around some of our parks, exploring the history, wildlife and features of interest, while picking up litter along the way. Have a look at the list of events to find out where and when these walks, and other litter-picking events are. Our guided walks are just one of the many ways we’re encouraging people to look after their environment and remove litter. Did you know you could be earning great rewards while you litter pick by downloading the free BetterPoints app? Points can be exchanged for high street vouchers or donated to charity. If you are new to BetterPoints for instructions on how to participate follow this link. If you like exercising in our parks, you could try plogging with Plog-olution, where you run or walk while litter picking. There is one Plog a month in different parks around Ealing. The next Plog is on Sunday 28th April at Pitshanger Park. Saturday 6th April - Elthorne Park, London W7 2LZ Guided 'walk and pick' with Ealing Rangers 2.00 – 3.30pm. Meet by the Bandstand. So come join in the Great British Spring Clean at the event, track your activities and earn BetterPoints for being a force for good!